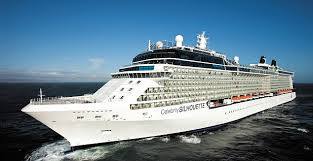 Over 85% of the staterooms on-board Celebrity Silhouette are enhanced by sweeping balconies and ocean views. Why not enjoy breakfast in your stateroom? Make it that little bit more special with beautiful ocean views over your morning eggs and coffee, the way you like them. CRUISE ONLY PRICE per person based on twin occupancy includes port taxes, full board and entertainment on cruise and applicable savings. Prices are subject to availability and offers can be withdrawn without prior notice. Fights are not included *Applicable to new bookings only made before the 30 April 2019 in an Ocean View stateroom or higher. Classic drinks package will be applied to 1st & 2nd guests in the stateroom over the minimum drinking age, free gratuities and up to $300 on-board credit per stateroom. For full terms and conditions, please call. 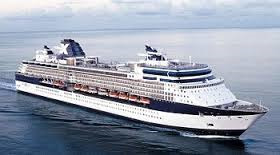 Price per person based on twin occupancy includes port taxes, full board and entertainment on cruise. Prices are subject to availability and offers can be withdrawn without prior notice. Mid-sized Aurora is a world-class ship, bringing the joys of classic cruise travel to all. With a skydome over her inviting Crystal Pool you’ll enjoy stylish surrounds whatever the weather. At her heart a 35 foot sculpture dominates the atrium while The Crow’s Nest offers panoramic views. Price per person based on twin occupancy includes port taxes, full board and entertainment on cruise. Prices based on P&O Saver Fares, terms & conditions apply, please call for full details. Prices are subject to availability and offer can be withdrawn without prior notice. Your holiday begins the minute you step into Oceana's bustling atrium. On board you'll enjoy a welcoming informal atmosphere with plenty to keep kids entertained. Adults can indulge in the spa, hedge bets in the casino or relax with a cocktail on the terrace. 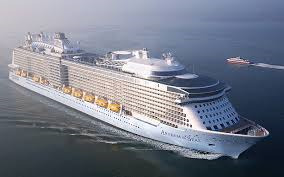 Price per person based on twin occupancy, includes return flights from London, transfers, port and air taxes, full board and entertainment on 7 night cruise. Prices featured are P&O's Early Saver Fare which are subject to restricted terms and conditions, please call for full details. 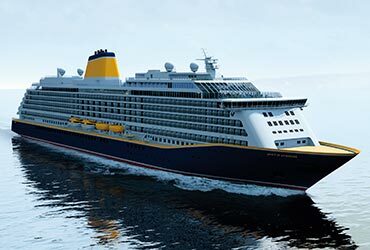 Spirit of Adventure will take to the oceans in the summer of 2020. She will be a beautiful sister toSpirit od Discovery, but with a host of surprises all her own, including two new speciality restaurants and vibrant new cabins, all with a private balcony for every guest. Price per person based on twin occupancy includes chauffeur service up to 250 miles, all meals on board, including 24-hour room service, selected drinks, all on-board gratuities, entertainment and activities, welcome cocktail party and Captain’s dinner, all port taxes and visas. Prices are subject to availability and offers can be withdrawn without prior notice. 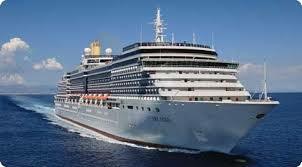 As with all SAGA cruises lead guest must over 50 yeas of age (a travelling companion can be over 40). Price per person based on twin occupancy includes port taxes, full board and entertainment on cruise. Prices are based on P&O Cruises 'Early Saver Fare' subject to availability and offers can be withdrawn without prior notice. Price per person based on twin occupancy, includes return flights from London, transfers, port and air taxes, full board and entertainment on 14 night cruise. Prices featured are P&O's Early Saver Fare which are subject to restricted terms and conditions, please call for full details.